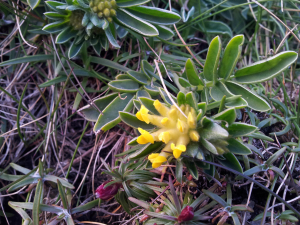 Observation - Kidney vetch - UK and Ireland. Description: Leaves silky beneath with terminal leaflet larger than the others. Growing on cliff path. Leaves silky beneath with terminal leaflet larger than the others. Growing on cliff path.